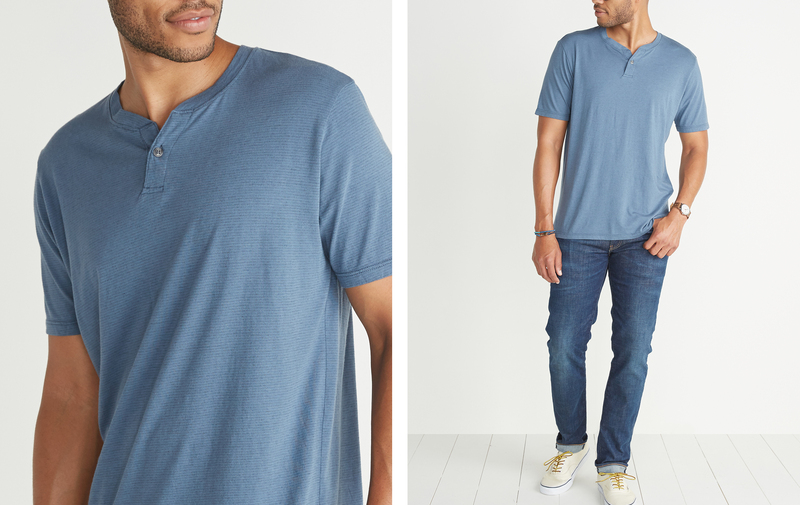 This lightweight henley can be worn with pretty much anything. Close that top button for formal affairs or unleash the lettuce when it's time to party. 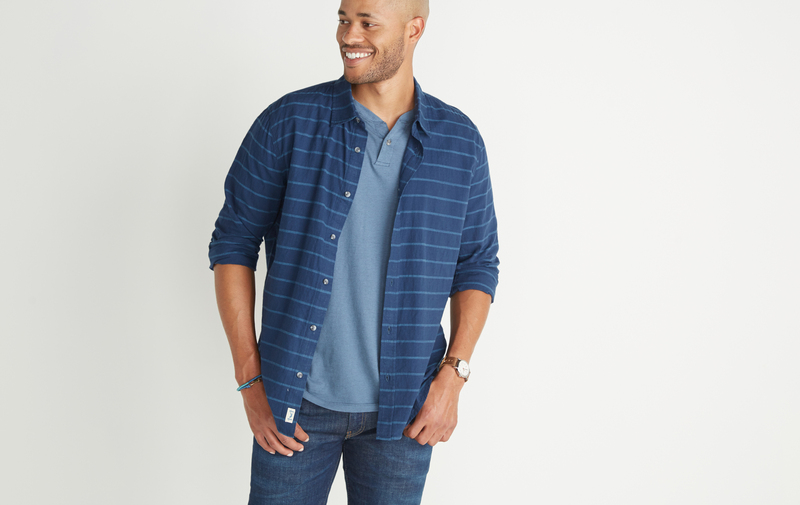 A lighter-weight fabric with a subtle stripe is the perfect transition piece to summer.